The Alabama Department of Corrections is reporting an inmate work stoppage at the William C. Holman Correctional Facility in Atmore. Early Friday, prison officials reported that group of approximately 10 inmates did not report to the facility’s kitchen for preparing the morning meal. Later Friday, approximately 35 inmates assigned to the facility’s tag plant that produces the state’s license plates took part in the work stoppage. The warden and correctional officers have maintain proper security inside the facility, and ADOC staff are delivering routine services to the inmates without incident. In addition, ADOC has a contingency plan to assign inmates from a nearby work release center in Atmore to operate the tag plant if the work stoppage continues. Inmates participating in the work stoppage at Holman have made no demands, and overall they have been cooperative in their peaceful protest. 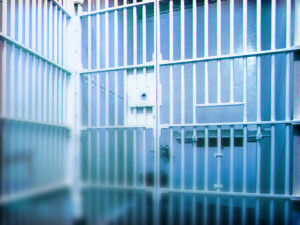 The work stoppage is isolated to Holman Correctional Facility, which is not on lockdown. There are no reports of inmates participating in the work stoppage at the remaining 27 state correctional facilities.